Your Price: $22,443 + HST & Licence. Only 20,390 Kms! This Toyota Venza delivers a Regular Unleaded I-4 2.7 L/163 engine powering this Automatic transmission. Wheels: 19 Aluminum Alloy w/Wheel Locks, Wheels w/Silver Accents, Vinyl Door Trim Insert. *This Toyota Venza Features the Following Options *Variable Intermittent Wipers w/Heated Wiper Park, Valet Function, Trunk/Hatch Auto-Latch, Trip Computer, Transmission: 6-Speed Automatic Super ECT w/OD -inc: sequential shift mode, gate type shifter, lock up torque converter and transmission cooler, Tires: P245/55R19 AS Radials -inc: temporary spare tire, TBD Axle Ratio, Tailgate/Rear Door Lock Included w/Power Door Locks, Systems Monitor, Strut Rear Suspension w/Coil Springs. *Expert Reviews! 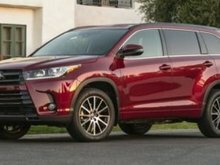 *As reported by The Manufacturer Summary: The 2015 Toyota Venza excites with a stylish look and wide, athletic stance that stands out from other crossovers. 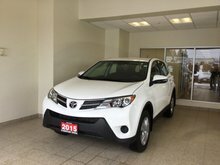 Its stunning exterior styling includes sleek lines, a stylish upper and lower grille, and modern looking fog lamps and taillights. 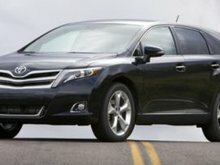 The 2015 Toyota Venza offers a sophisticated profile and sleek design to make every arrival a powerful one, while a luxurious cabin and spacious interior provide plenty of comfort. The 2015 Venza is offered in 3 trims: the base LE, the mid range XLE, and the top level Limited. 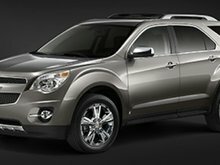 A 2.7-Liter, 4-Cylinder, 181hp engine is standard on the LE and XLE, but is unavailable on the Limited. 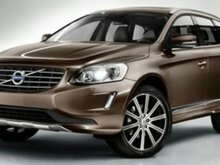 Alternatively, a 3.5-Liter, V6 engine with 268hp is standard on the Limited and available on the lower trims. Whatever engine options you go with, they are both paired with a 6-speed Electronically Controlled Automatic Transmission. While Front-wheel drive comes standard, Toyota offers all-wheel drive as an option on all Venza trims. 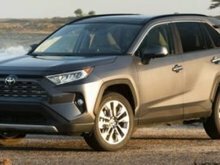 Fuel economy is almost the same on all trims and drivetrain combinations, but the 4-Cylinder Front-wheel drive is the best performer with an EPA estimated 21MPG CTY and 27 MPG HWY. 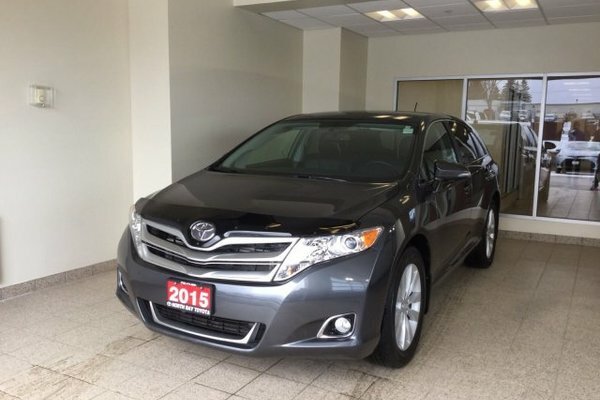 The 2015 Toyota Venza has an interior that is big in all directions with generous head and leg room. 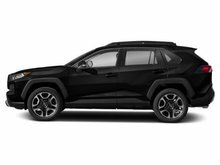 Based on the trim, comfortable seating options include cloth or leather upholstery, heated front seats, and a power driver's seat with power lumbar support. The Venza offers an impressive 70.2 cubic feet of cargo space. Plus, it features one-touch fold-flat levers located in the cargo area for the rear seats. 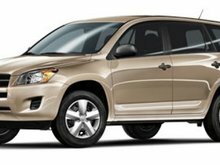 Standard safety features include 7 airbags, anti-lock brakes, traction control, a tire pressure monitor system, and much more. 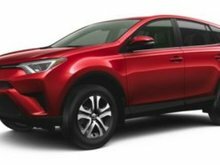 *Visit Us Today *A short visit to North Bay Toyota located at 640 McKeown Ave, North Bay, ON P1B 7M2 can get you a dependable Venza today! Want to try the 2015 Toyota Venza 4dr Wgn AWD ? $12,382 + HST & Licence.